BRIGHTON, Mich. - Brighton Ford is proud to be a Dazzling Demin sponsor at the Denim and Diamonds Western-Themed Fundraiser taking place this weekend. On September 14th, guests will flock to Mario Township for a good old-fashioned party that will also help raise money to benefit the services and programs provided by LACASA. LACASA is an admirable nonprofit in Livingston County that supports and advocates survivors of child abuse, domestic violence and sexual assault. They do this by not only providing prevention, but also education and awareness that works to make our community safer. Known for providing a safe environment for those in need, LACASA does not receive funding by a national parent organization. Instead, they must rely on generous contributions from the community and specific program grants. 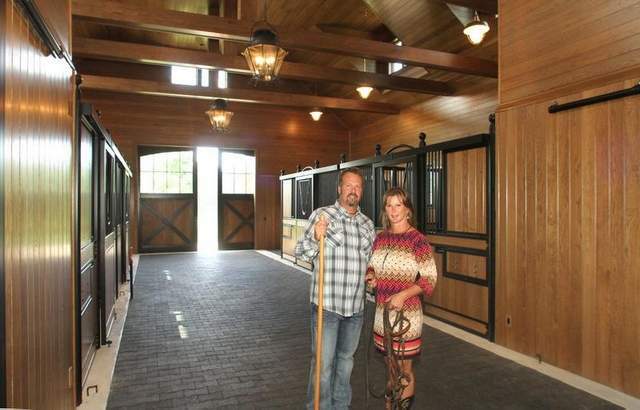 The fundraiser to support LACASA will be held at the breathtaking lakeside ranch of Gwen Haggerty-Bearden and Steven Bearden in Howell, and it is sure to be a memorable evening. William Shadrick and the Modern Day Drifters will perform foot-stompin' country rock; national recording artist Kari Holmes will belt out high-spirited tunes while guitarist and singer Mike Farella plays acoustic favorites. While the music is playing, guests will be able to participate in a variety of activities - everything from Wild West Gambling, to Line & Square Dancing, to the Dazzling Diamond Raffle (win a loot worth thousands of dollars!). All proceeds help abused children and victims of interpersonal violence in our community. For tickets to the Denim and Diamonds Western-Themed Fundraiser - an evening of Wild West gambling, mechanical bull riding, and so much more - get your tickets at www.lacasacenter.org! If you need a ride to this event benefiting a great cause, stop by our Livonia Area Ford Dealer today! We would be more than happy to help you into a reliable vehicle that you'll love.